Lightly toss the tomatoes in olive oil. 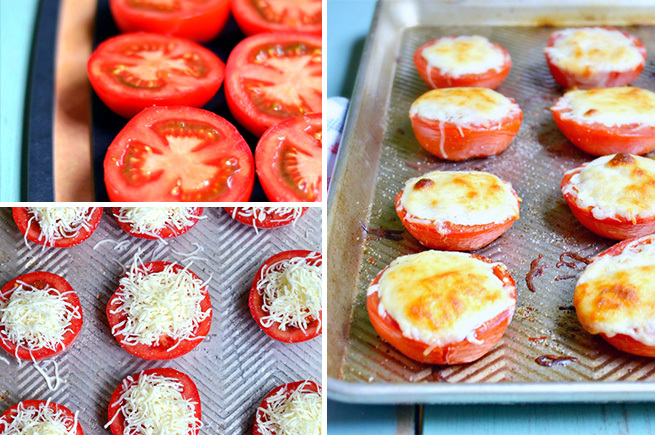 Top with the mozzarella cheese, dividing the cheese evenly amongst all the tomatoes. Roast at 400 degrees for about 20-25 minutes. Recipe Courtesy of: Janel Hutton of Nellie Bellie.